My Mom (Crafty G-Ma) is a BIG-TIME quilter. She is always looking for fun and easy ways to whip-up blankets. 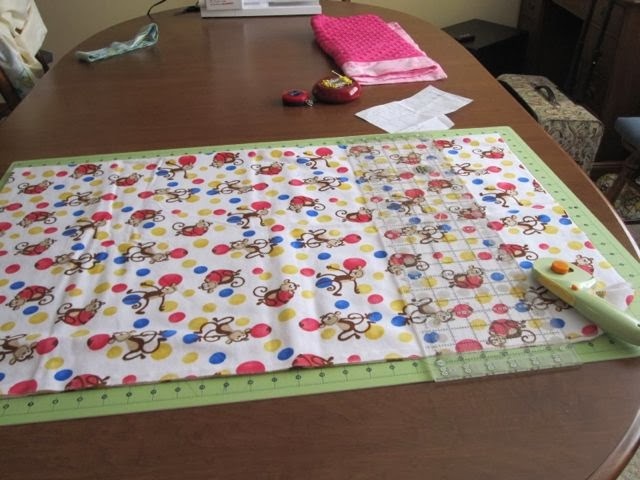 Recently she found a quick and easy step-by-step tutorial video for making self-binding receiving blankets. Crafty G-Ma is walking us through the process today! (If the instructions are not super clear--I would also encourage you to watch the video). Take two pieces of fabric--you choose. Consider flannel or minky. Typically, you will have either two flannel or one flannel or minky. Crafty G-Ma (or my mom) likes to put the flannel as the outside fabric with minky on the inside. 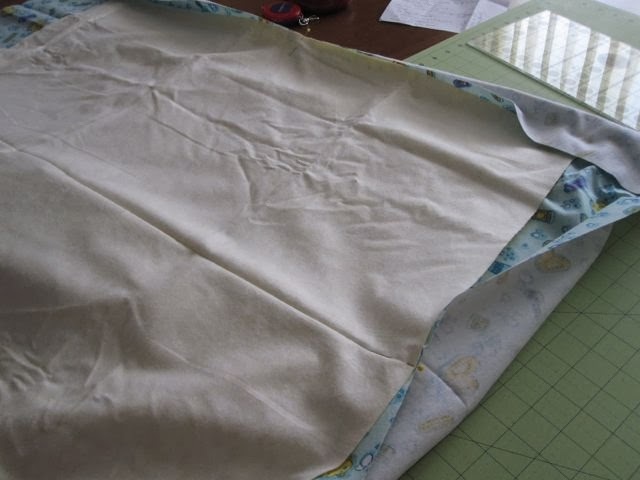 You will need a piece of 40 inch square fabric and a piece of 30 inch square fabric. 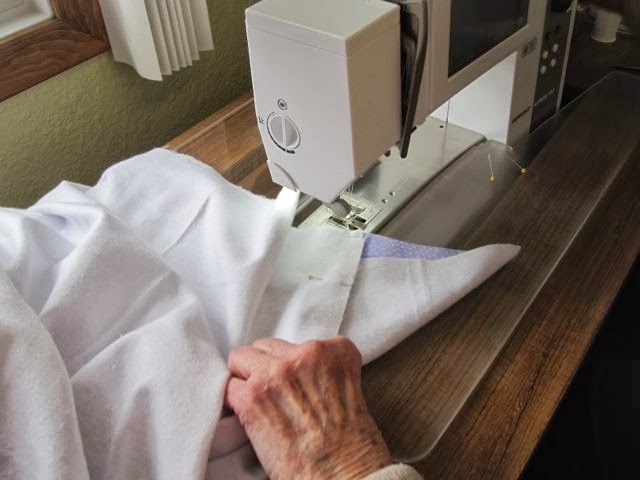 Determine the center of each side and pin the fabrics right sides together. 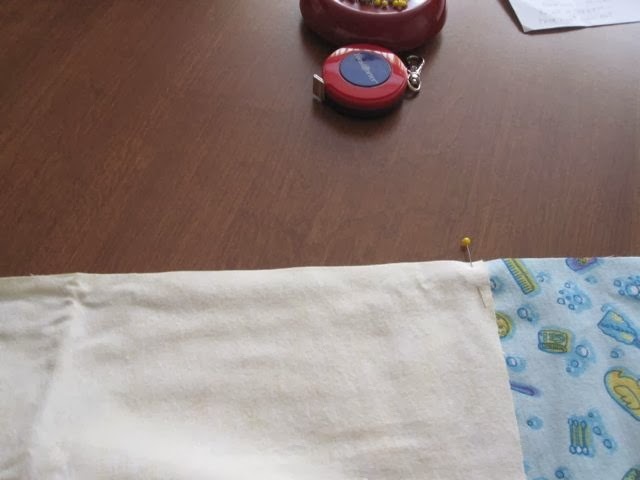 Do this on each side of fabric. 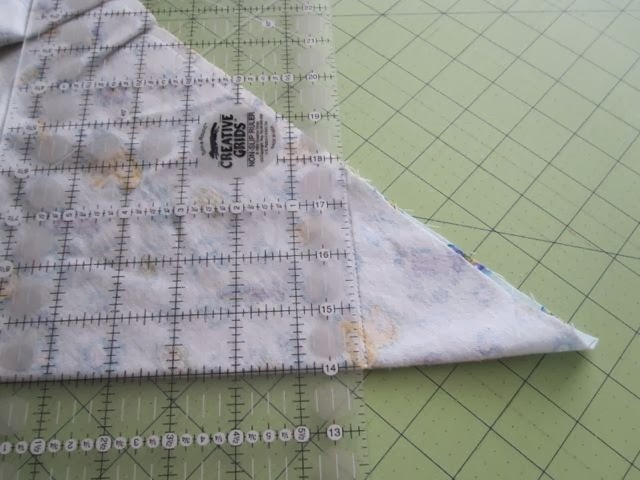 Pin along the edge to indicate a 1/4 inch seam. Do this on each side. On one side leave a four inch opening (that you do not sew). 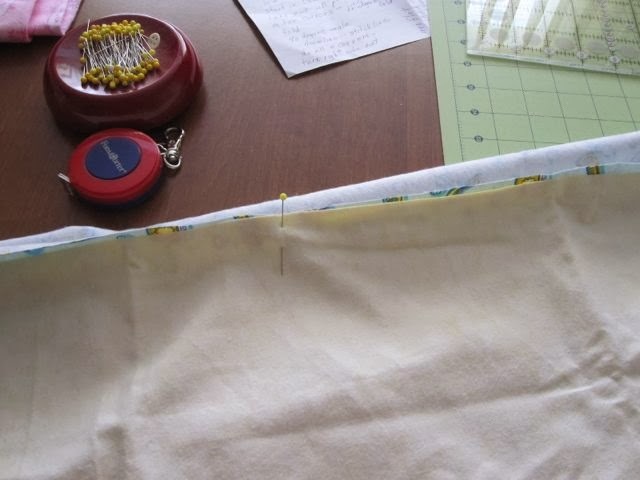 Sew all four sides with 1/4 inch seam leaving 1/4 inch at each corner (leave this open). 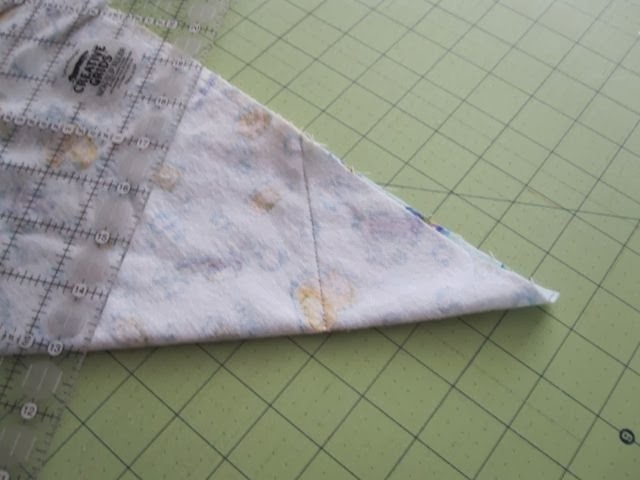 Fold the fabric at each corner to form a triangle (photo below). Line up your ruler along the bottom fold to create a line. Your 90 degree line will end at the 1/4 inch opening. Draw the line (on all four corners). Sew on the line (all four corners). Trim 1/4 inch from the seam. Ensure that you have a mitered corner by checking inside before cutting. Turn the blanket right-side out. Press it to lay flat. 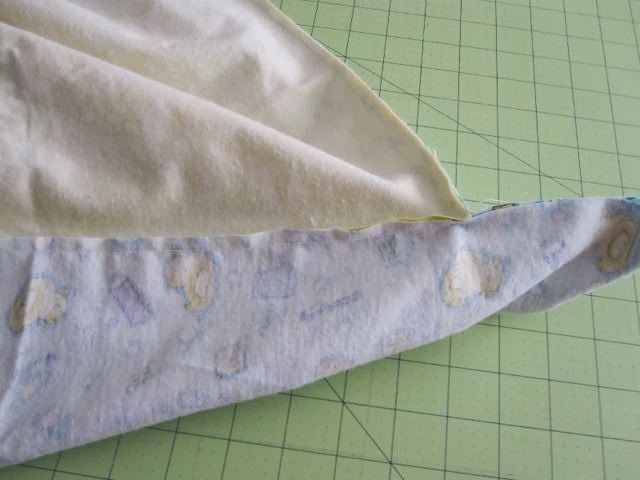 Using a decorative stitch (ex: zig-zag) sew along the top of the blanket at the seam, which will close the openings. There you have it. 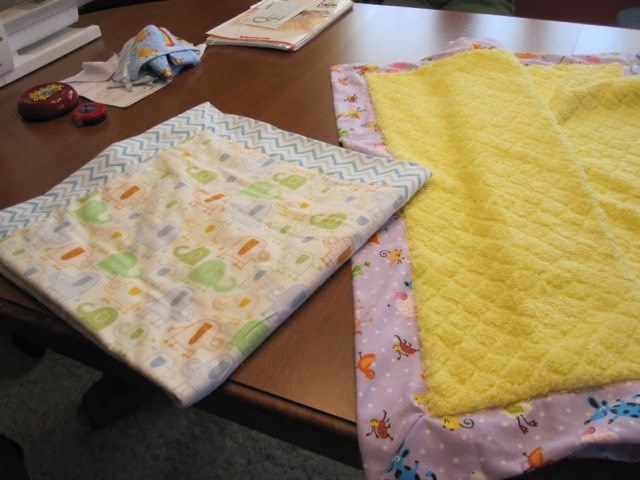 Thank you to Crafty G-Ma for walking us through this popular new way to create an easy receiving blanket.